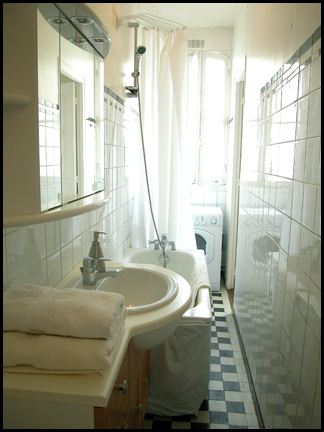 The apartment is self catering and fully furnished. 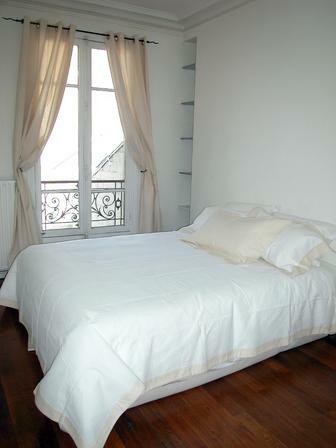 It is located in the 10th arrondissement, just steps from the increasingly trendy and romantic Canal St. Martin. 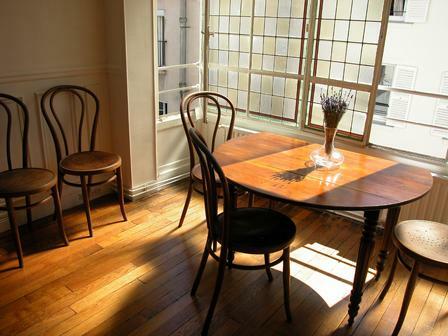 It is a 4th floor apartment that is charming and bright, with lovely oak floors. 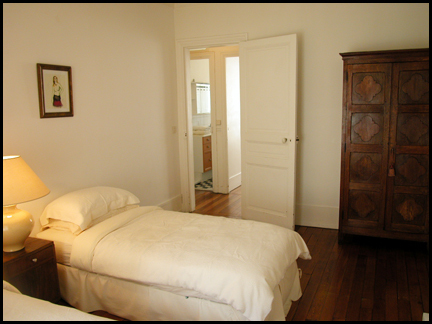 The building is a classic, pierre de taille (the "upscale" facing material used in the early 1900's). Inside there are 2 bedrooms, 1 bathroom, a living room and a fully fitted kitchen. The neighborhood is young, friendly, cosmopolitan and lively with lots of restaurants and shops. 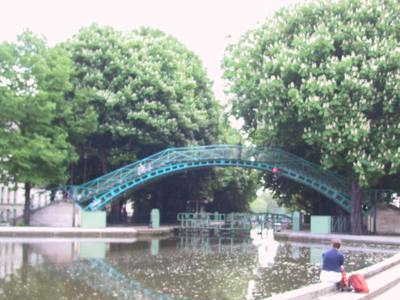 The nearby Metro stations allow easy access to all of central Paris while Canal St. Martin is only a few steps away. 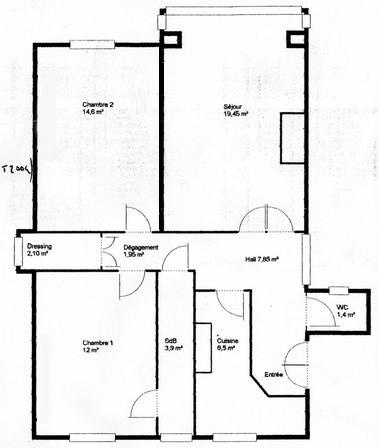 There are 2 bedrooms. One with a queen size bed and the second with 2 singles. 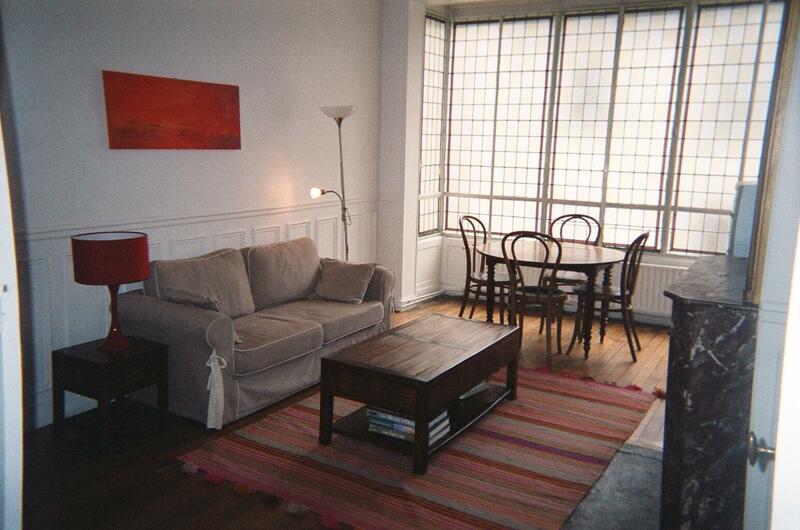 The sofa in the living room can be converted into a double sofa bed. 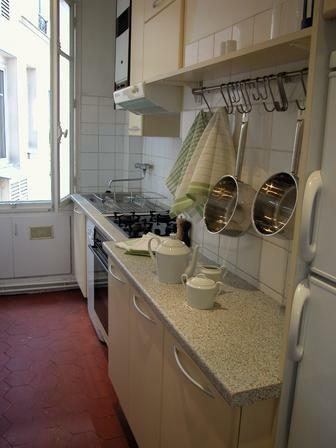 Fully fitted kitchen with dishwasher. 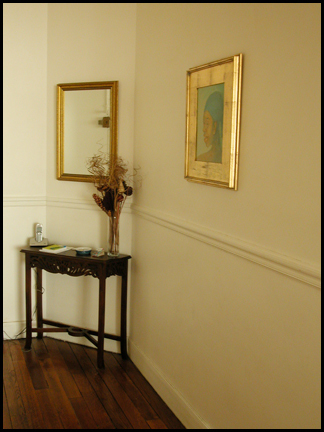 The apartment is a spacious 69 m² (743 ft²). The international country code for France is 33. Rates: 875 € to 1100 € per week - Longer/Shorter periods considered. See the Reservations page for furter details. 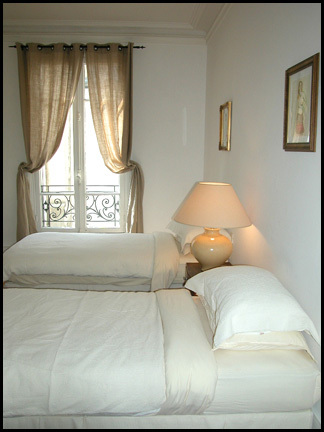 Perfect for tourists or frequent visitors to Paris who want the comfort of home. Scam Alert: Unfortunately internet fraud has become almost epidemic. 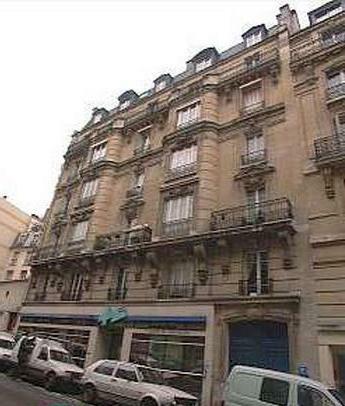 Scammers will pretend to own an apartment using valid addresses in Paris and request that you wire money to their bank account. Many people fall for this trick despite the warning signs. Never send money to anyone unless you are confident that they are legitimately in business. Scammers rarely have established web sites and almost never pay for advertising. Even if you do not choose my apartment make sure the one you do choose is on at least one paid site and has been there for a reasonable amount of time (www.vrbo.com/44998) – check the first published year as an example.